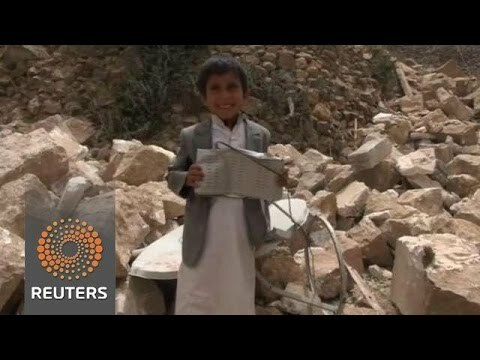 The Red Cross and the Russian Federation are both demanding a temporary cease-fire in the aerial bombardment of Yemen by a Saudi-led coalition, to allow delivery of needed humanitarian goods. Two weeks of bombing have left some 500 Yemenis dead and 1700 more wounded. Dozens of the killed or wounded are children. Saudi airstrikes have repeatedly hit civilian neighborhoods in cities like Sanaa and have, intentionally or no, struck soft targets of no obvious military value, including a refugee camp. At the United Nations Security Council, the Russian Federation introduced a resolution demanding an immediate temporary cease-fire in Yemen to allow the evacuation of diplomats from Sanaa, the capital, and to allow delivery of humanitarian supplies to non-combatants. At the same time, Russia denied sending arms to the Houthi rebels. The air raids have not stopped the Houthi rebels from advancing, and they appear to have taken much of the key southern port of Aden.